For many employers, each new year means another round of performance reviews, along with the opportunity to improve the process. A good place to start a review is to make sure that common errors–especially those that can result in legal trouble–are being avoided. 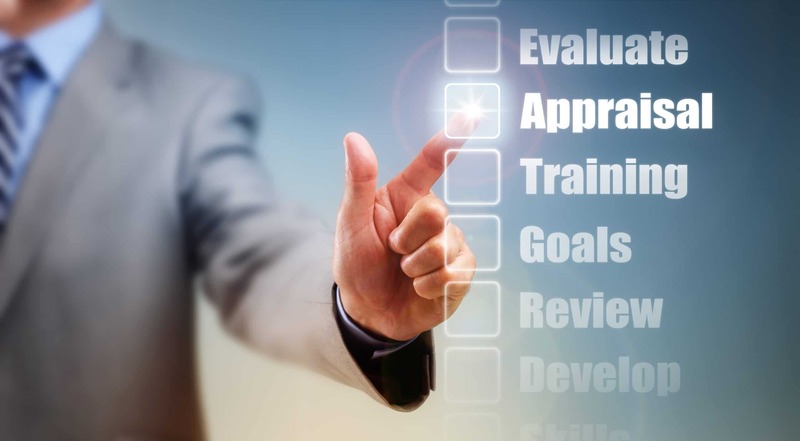 Another step is to find ways to streamline the process to improve the effectiveness of performance reviews. Implied promises of continuing employment. Most employees are at-will, and if they are it is a mistake to include language in a performance review that may be taken as a contract. While an employee may find it encouraging to read about how an employer “looks forward to more years of excellent work,” this seemingly innocent type of praise should not appear on a performance review. Employee health issues. Mentioning pregnancies, illness, or other medical conditions in a performance review, especially in a negative light, may be interpreted as discrimination. Retaliation. A review should not complain–even indirectly–about an employee’s harassment complaint or other protected activity. It should not penalize an employee for engaging in a protected activity. If years of good reviews mention good attendance, for example, until one year an employee who complained of a safety violation is singled out for being late once, this may be taken as evidence of retaliation. Lack of an employee’s signature. The signature line can include a disclaimer that the employee’s signature is not evidence of agreement with the review, just that they have received and read it. Typos, errors, missed check boxes, and other evidence that the review was prepared hastily or carelessly. Vague and/or boilerplate language. This can be another sign that the employer was not taking the review seriously–and that therefore other criteria, perhaps illegal ones, were the real basis of evaluation. The more specific and factual the details of a review are, the better. This is a good reason to maintain records during the year of specific events and issues that can be added to the review later. Reviewing abstract traits, such as “leadership” or “initiative” rather than specific behaviors. As an alternative to vague terms, look for numbers and results: goals accomplished or items missed. In addition to these types of errors on individual reviews, other mistakes can be found on comparison of all the reviews. One error has its root in the common desire to avoid conflict: Making all employees above average, or making them all more average than they are. Below-average performance should be documented as such, and higher-performing employees should be recognized. Trying to sweeten the medicine by making evaluations bland makes them less useful. In contrast, a manager may be too strict and rate employees too low. Another error that may spell legal trouble later is not following company policy. If an employee’s review is missed or otherwise treated in a way that other employees were not, that too may leave room for an argument of discrimination. With all the stress of conducting evaluations and all the ways they can go wrong, it is no surprise that along with annual performance reviews come calls for eliminating performance reviews. “Deloitte, Accenture and National Australia Bank” have stopped “the formal performance review process.” Companies have switched to periodic “check-ins” during the year, since the regular method has become too time-consuming in relation to its effectiveness. Deloitte, for one, has gone to weekly check-ins. For employers looking to eliminate performance reviews, therefore, the alternative seems to be more but smaller performance reviews, conducted on an ongoing basis rather than a once-a-year summary. As problems or causes for praise arise, discussions are held to address them. For employers, the question becomes: What is the purpose of the reviews? If it is to determine possible salary increases, the new style of ongoing reviews may not be the best approach. But if reviews are intended to improve performance, a change to an ongoing review system may be worth considering. Thus along with conducting reviews it may be helpful to review the review process and make sure that it too is performing well. Some suggestions for more effective performance reviews–whether yearly or weekly–include the following. The first thing to consider is whether reviews involve two-way communication. Performance appraisals may by nature involve top-down communication, but allowing for employee feedback and participation, including self-review, can increase the effectiveness of the review. Rather than simply expecting employees to listen and agree, managers may want to discuss performance issues in a way that lets employees feel comfortable enough to offer more honest, rather than expected, feedback. For example, if attendance is an issue, a discussion of what has caused the problem and what realistic steps can be taken to address it can lead to an improvement. As part of the two-way communication, the reviewer can be willing to listen–if an employee mentions a positive that should be in the review or finds something inaccurate, the reviewer may amend the review. Another benefit of open and honest communication is that it can help prevent biases toward evaluating everyone in largely the same way (whether the tendency is to group everyone too much toward the top, middle, or bottom). Similarly, what may sound like a bad excuse may have some merit. For example, while “it’s not in my job description” overlooks the usual catch-all of “perform other duties as required,” there may be something behind that excuse that needs examining. Has the employee decided to stop covering for someone? Is there a safety issue involved? And does the job description accurately match what the employee actually does? Third, the appraisal should be weighted according to an accurate job description. The key elements of an employee’s job should be the most important parts of the review. Weighing strategies can include goals or competencies specific to the company and specific to the position. These can be individually weighted according to importance so that the final score is most influenced by what is most important. And speaking of what’s important, whether the review is weekly or yearly, the recent past can easily gain too much influence over the review, which is another argument for keeping records on performance. Finally, as part of a review process geared toward improving performance, employee participation can include elements of peer review, self-review, and goal setting. An employee who actively participates in setting a performance goal has one more reason–their own word–to reach it. Whatever a company’s methods of evaluating performance, there is always room for improvement. By avoiding some common mistakes and studying new ways to efficiently reach performance goals, employers can make the employee review process better. Previous : What Are Your Employees Saying about Your Company?